Meant for Friday but delayed after car mow down. Why wasn't I told. Apparently everyone in the world knows about the exploding whale at a beach in Oregon, USA, but I did not until recently. 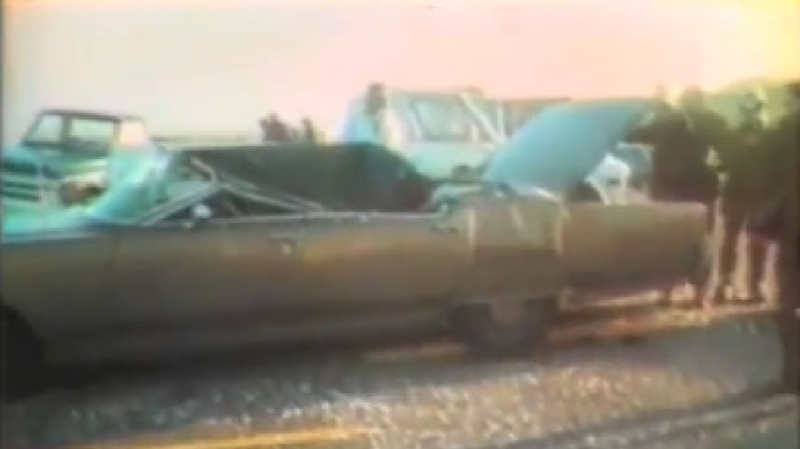 In the 1970s a large dead whale washed up on the beach and as it began to decompose, it smelt very bad. The road authority (why the road authority?) was called and it decided to dynamite the whale carcass, so that it broke up into many small pieces, suitable to be scavenged by seagulls and other such critters. Such a sad and undignified end to a whale life. This poor quality photo gives you a clue as to how it all went so terribly wrong. It was seen as such a good for tv event, it was covered by television station KATU AM Northwest. Worth watching to get the full context. 6:41. If you can't get enough of humans not understanding how dead whales explode, this clip is rather gross, so I won't embed, but here is a link, this time at Faroe Islands. I think tomorrow I may show you a video of a python consuming a young boy in South America. Ok ok, preempting comments on this post, I get the hint. Buggarising around is a good Aussie term, and that is what I did at home this morning. R went off to take Mother out and I was home alone. I needed a Christmas haircut though, having already dealt with more personal hair, I went into town for my 'five on top, 2 at the sides' buzz cut. There was a little left over Greek salad and one small piece of chicken schnitzel from last night, so they, after earlier cereal, that sustained me for a while. But by early afternoon I was little hungry and dying for a decent cup of coffee. At my fave perv on blokes people watching outdoor coffee place opposite the Town Hall, I ordered a blueberry muffin, and as usual laid down the law that I wanted my coffee in a cup or a glass, not a paper cup, just before he wrote LB, for long black on the paper cup. I could say this is for environmental reasons, but that is not really true. I just don't like my good cups of coffee in paper cups. The environmental effects of water use for making china or glass coffee cups and the washing of them as against paper cups is still out for the jury. I sat down, waiting for my coffee and muffin. My coffee was brought, and my change of $2.70. I thought $10 was a bit expensive for coffee and a muffin. The probably gay Asian guy who took my order had a slightly tinted friend who turned up for whatever reason and was hanging around. Both were quite attractive. Some old Asian dude was at the counter ordering. But wait, I know him. It is Tong Wong. Yes, an amusing name. As I have said in the past, I know more Wongs than I do Smiths or Jones'. There was this moment, do I act or just ignore? Normally I do the latter, but something made me get up and say to him, Tong? He turned around and looked at me blankly, and then suddenly recognition dawned. He uninvited joined me to eat our muffins, and after mine did not arrive and he sorted it out. I worked with him many years ago. He is Chinese Malaysian. A couple of times we went out for lunch, ever so many years ago. We caught up with all sorts of news, some good, and a lot rather sad as people who we knew had died. After confessing I was now 60 years old, he is 74. You can easily guess I am 60. Not so Tong at 74. It was great to see him. I strolled down Swanston and Collins Street to Degraves Street, where I had my Christmas haircut, and then to the Woolworths Centro in Flinders for something. 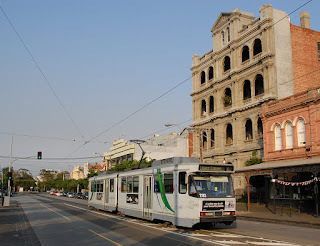 I just did not feel like facing a crowded Swanston Street/St Kilda Road tram, so I just walked along Flinders Street to Market Street, looking in the shops as I went. I knew I had twelve minutes before the next 58 tram to get me home. It was clearly late, by my checking of Tram Hunter and Tram Tracker. I thought the tram would be busy. It was more than that, packed. I should have gone back to to Swanston Street. I nearly used the all directions pedestrian crossing at Flinders and Elizabeth Street, but decided to stay on the shady side of the street. Once home, I lay on my bed for a bit, alternating between watching on my tablet a Russian dude trying to start a diesel train in -30C temps and some hot lads in 35C temps in Brazil, doing what they do. My phone was next to me, but because it was on soft bedding and the sound was turned off, I did not hear the vibration of the arriving 34 text messages. R came home, full of news from Mother and very full of stress from Mother. I allowed him to earbash me for a while before he retired for his nap. I've just remembered now. Tong is a Sally Army person. Not discussed, but he would know I am gay. Yes, so just two hours after I crossed Elizabeth Street in Flinders Street, some maniac has mown down a heap of pedestrians in a car at that very same location. Instead of spending money on stupid bollards, perhaps our spooks should be getting more funding. Ok, yes, I am wrong to assume it was a Moslem terrorist attack. We shall see. The bottom of Elizabeth Street has been turned into a pop up pedestrian only area. I took this bad photo a couple of weeks ago. It's a busy spot and the perfect place to mow people down. I like the way the subject line looks. The ON is of course for Ontario, the province where Toronto is located. And, Toronto really is (switched) on. When we were in Toronto I noted its tram system was a mix of the old and the new. 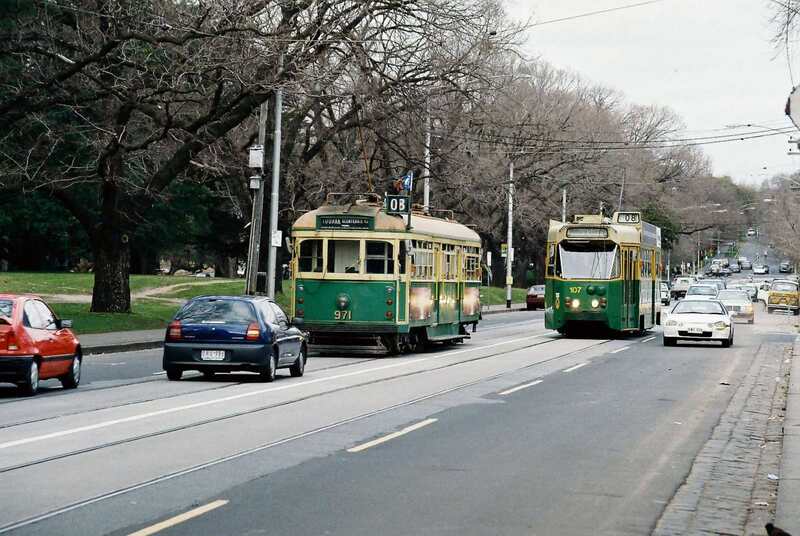 The older trams were not fitted with Presto equipment, Presto being the name of public transport stored value fare card system. 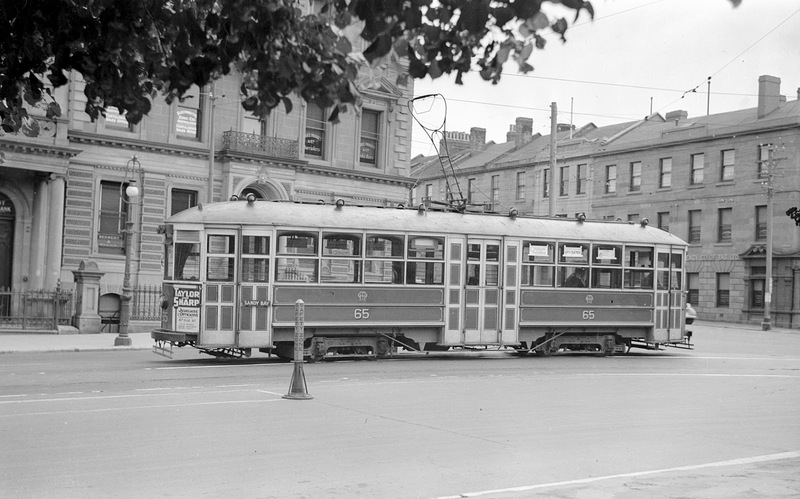 The tram drivers were rather not inclined to collect money for a fare for our travels and so we travelled for free. While I knew there was some place at Pearson Airport to buy a Presto card, it seemed to have been made deliberately difficult to find, hence we paid full fare on the brand new UP Express, that broke down along the way with an air con fault. 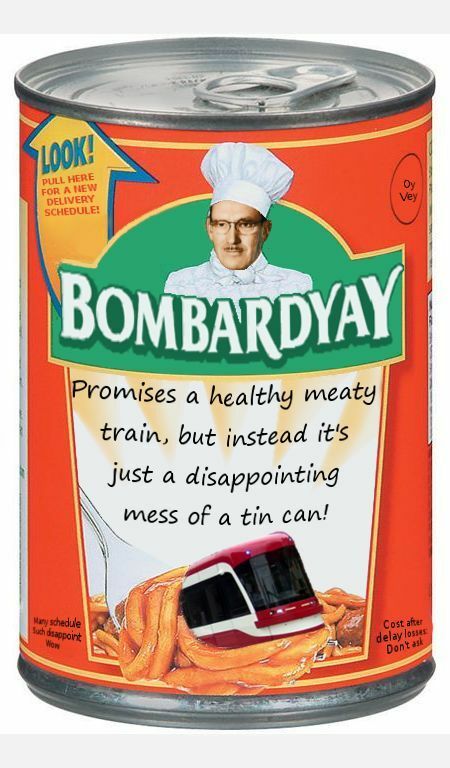 It wasn't a long delay but certainly mucked up the timetable. The UP Express has not been a great success, surely because of the very high fare. Sydney has a very highly priced airport train and over time, it has become successful because of its speed and sheer usefulness. Though, if you paying full train fares, for two people a cab will be cheaper, perhaps a little slower. Later edit: A new fare structure was introduced on March 9, 2016, which reduced the one-way ticket price between Union (Station) and Pearson from $27.50 to $12.00 cash, and from $19.00 to $9.00 with a Presto card. The change also introduced GO pricing between Bloor/Weston and Union stations. Toronto has being buying new trams...........forever. Failure after failure has happened for the trams built under a respectable name but built in Mexico and they were terribly wrong from the first one that was delivered. Timeline after timeline for delivery of new trams blew out. Experts were employed to sort things out and failed to do so, and more experts were employed to supervise the experts. The authority in charge made half hearted threats to cancel the contract, but so far as I know, it has not been. New trams are being delivered, but so far behind schedule. While Bombardier is a respected company and has supplied new trams to Australia, including Melbourne's newest trams that are assembled here, the company has rather endangered its name with its Toronto misadventures. It is interesting that Toronto has not changed its trams to pantographs and continues on with poles to connect to the overhead electric wires. 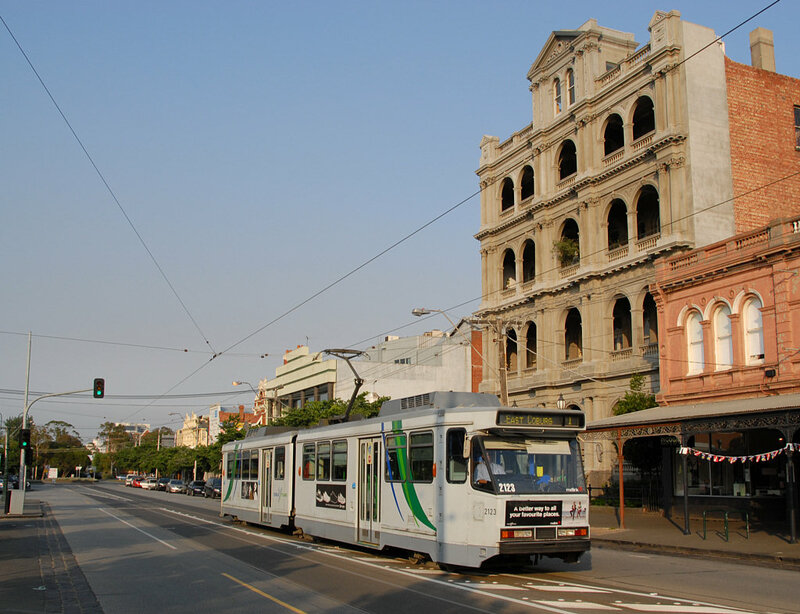 Trams with poles go wrong more often than trams with pantographs but it is usually just the pole coming off the wire. When a pantograph goes wrong, it really goes wrong. Here are two old retired Melbourne trams with poles, and then a current tram with a pantograph. Tasmania stepped out of the square with its a bow collectors. Sorry that I am unable to credit these photos. When we were in Toronto there was also a discussion about demolishing the Gardiner Expressway. While I am sure it gets horribly congested at times like all traffic solving problem freeways do, it is generally a quick and easy elevated freeway to get out of central Toronto. Elevated freeway? Sorry, I don't like them in the middle or on the edge of cities or along the waterfront of cities. The Gardiner Expressway is a horrible blight on Toronto. It is very divisive line between the city of Toronto and Toronto's marvellous waterfront to Lake Ontario. So where are we up to with the Gardiner Expressway? It seems some of it is to be demolished and I am not sure which part. Local knowledge is required. Over to you Jackie. I am sounding somewhat negative about Toronto and I should not be. It is a big and wonderful city, with many pockets of surprises and differences. Like all civilised cities it has a tram system. It has underground trains, and underground walkways to protect people from the cold. It has ultra cool areas and it is full of interesting people. I just wish it was not so goddamned hot when we were there. Toronto and Canada traveller tip #101, Tim Hortons. Find one and you will not be disappointed and it may just save your life. 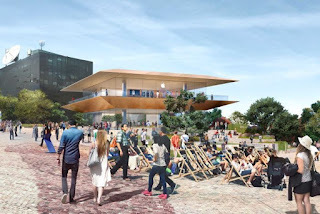 An announcement in the press today informed us that an Apple Flagship Store will be built at our Federation Square. It will be the biggest and flashest in the Southern Hemisphere. It will create more public space and better connect Fed Square to the river bank, along with employing a good number of people, and many more for the construction. Brilliant, I love it. But detail and devil, you know. I have posted many photos of Federation Square and by putting Federation Square into the search facility on my blog will bring them up. One of the buildings in the style of the square will be demolished, former horse racing museum, now a Koori (Aboriginal) museum. I am not sure I am liking this demolition thing. So what will be built? Something really spech, lots of glass, sitting lightly in the space and in sympathy with the architecture and style of the Square? No, I would liken it to an overly grand two storey beach side holiday hut in Fiji. Absolutely ghastly and the whole balance of Fed Square will be broken. Construction won't begin until 2019 and completion in 2020, so we have plenty of time to hitch up our skirts, gird our loins and face away from the wall to prevent this monstrosity being built and part of the original Fed Square being demolished. I try to like capitalist enterprise, but I so often find I don't. I recall being having surgery in what I thought was a Jewish hospital a few years ago and getting a ham sandwich for lunch! Apparently the hospital had been sold and was no longer Jewish. It was a nice sandwich, as I recall. My treatment was very good. In about 1977 my grandmother died in Cabrini Hospital in Malvern, somewhat slowly. The Catholic nurses, many still in habits, were often nasty, uncaring and truly horrible. Mother intervened and there was some improvement to Grandma's care. At least the nurses would give her a drink when my very uncomplaining grandmother said she was thirsty. Our friend has been in Cabrini at least three times this year, and R has been there once. It is a very different hospital to the one where my grandmother died. The vestiges of it being a Catholic hospital remain. In the foyer is a Christmas tree and a nativity display scene. There are still many photos and Catholic religion symbolism within the hospital. But here is a point. R's surgeon and anaesthetist were Jewish. Our friend's personal doctor, treating, and consulting specialists are all Jewish. The emergency department has the name of Alan, Ada and Eva Selwyn emergency department. Sounds Jewish to me, and the Jewish are clearly pumping money into the hospital as Jewish doctors and specialists dominate. And the point of this? None at all. I rather prefer Jews over Catholics. Jews tend to be more pragmatic and less hypocritical. At Cabrini though, Catholics work along aside Jews, Hindus, Christians and Moslems, and I suppose Heathens. That is not a bad thing, surely. Our friend's hospital window was being kept open a bit by a book, a bible that was found in the room. The Catholic Indian born nurse arrived to the room and proclaimed, how could they do this? Propping open a window with a bible!!! The bible was restored to its rightful place and a rolled up hand towel kept the window open. As our friend recounted this, it seems the Indian Catholic nurse was rather theatrical about what happened and our friend thought it a bit funny. Our friend for want of something to say to his Jewish night nurse in the early hours, told her about the incident. "Oh yes, that was Sister *** and it was actually me who propped open the window with the bible. Sister *** is a bit funny about some things." It was very funny at the time. Lip service is being paid to it being a large private Catholic hospital, but I don't think for too much longer. If the worst that happens is a little friction over what props open a window, then things must be ok.
On the eve of a Federal New South Wales by-election, where the Federal Government could fall or become a minority government, Our ABC TV chose not give us a 730, its national current affairs show. Instead we had a repeat of a Nigella Lawson cooking show. Cuts cuts and more cuts. R opined that after the popular Red Symons was sacked as breakfast presenter of Melbourne ABC Radio, that it would become a national programme. He was wrong about that and the two who are replacing him, (two for the price of one?) may well be ok. However with recent changes all over the country, some local radio is lost with a programme about culture and music coming from Sydney as a national programme for one and a half hours in the early afternoon. The World Today at noon, cut from one hour to half an hour. PM, one hour at 6pm cut to half an hour and moved to later. These are slow paced radio current affairs shows that need time to tell the stories in depth. The conservative government appointed Managing Director, Michelle Guthrie, may well be known as another MD who has inflicted a thousand cuts on Our ABC. What will happen at Radio National, or RN as the modernisers like to call it. As its name suggests, it a national ABC broadcasting radio station. As a young person it was dry old station that only played opera and classical music. It moved on and now has some wonderful programmes, which I never listen live to but download the podcasts to listen to in the car. Lost already has been Hindsight, Now Hear This and Media Report. RN production values are high and the above programmes cost a good bit of money to make for radio programmes, and it shows. They are high quality broadcasts and The Health Report is also broadcast on CBC in Canada. I have experienced a life time of change, and I don't mind it at all, when it is for the better. I see little better in any of the above. Not too many photos to show. River may not have a Sunday Selections but I reckon Elephant's Child will this week. Diane may well tell me to find the grid lines on my camera so I don't show the Spirit of Tasmania sailing downhill. I have tried, and I am pretty sure my camera does not have grid lines. Putting my specs on would help. 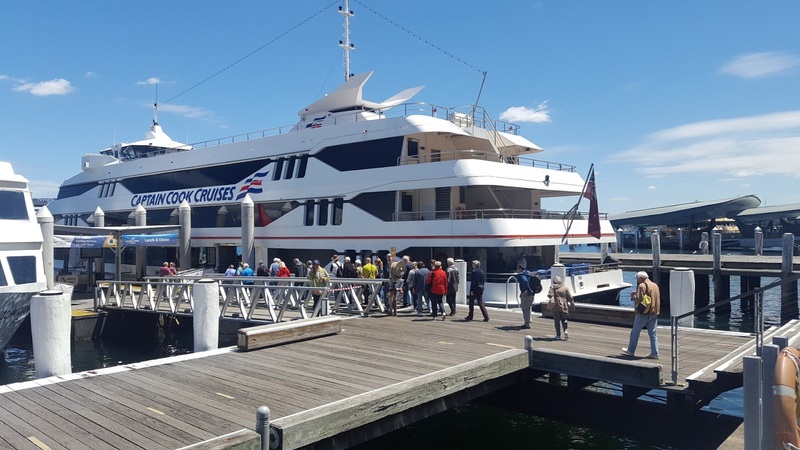 I may have shown this photo before, Melbourne Cup day with three ships moored at Station Pier along with the Spirit of Tasmania. Speaking of Melbourne Cup. 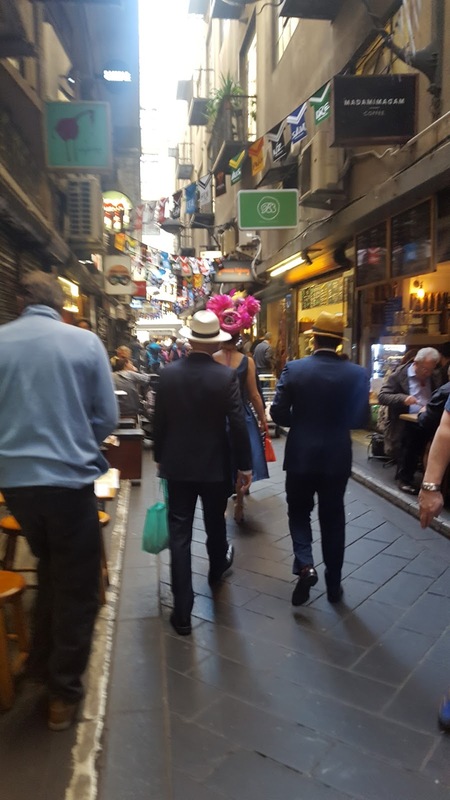 Centre Place, Melbourne. Below the massive West Gate Bridge is West Gate Park. We haven't been there for years and we chose a too hot day to revisit, so we did not go far. It has come on from just being bushes. At times the water in the lakes at Westgate Park turn pink. You can almost see a pink hue to the waters. 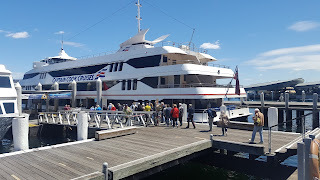 A mobile phone photo I forgot to post at the time, as we we about to board the ferry to tour Sydney Harbour. I just can't believe we toured Europe earlier this year and went to Sydney for a week. I think next year will be much tamer. Btw, if you have some time, Sami was in Portugal and France not so long ago. Her photos and details of her travels are to behold.